Brainstem anaesthesia (BSA) following retrobulbar blocks in ophthalmic surgeries is a rare but well-documented complication. So far, no case of BSA following intranasal packing with lignocaine and adrenaline has been reported. 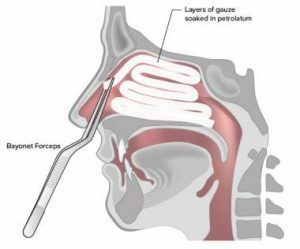 Anterior nasal packing is a procedure routinely done by otorhinolaryngologists. Many a time it is done outside the operating room without monitoring of vital signs. A case of Brainstem anaesthesia following intranasal packing with lignocaine and adrenaline has been reported by us i.e Dr. Madhuri S Kurdi and associates. The article has been published in Indian Journal of Anaesthesia. Like elsewhere practice of doing Anterior nasal packing outside the operating room same is followed in our hospital; however, on one occasion we were completely taken by surprise when a 19-year-old healthy male was taken on operation table for elective septoplasty. He had undergone anterior nasal packing 45 minutes back in the preparation room with 4% lignocaine and adrenaline. He walked normally to the table and lay supine. The anesthesia team was getting things ready to anaesthetize him when all of a sudden he became aphasic, stopped breathing and appeared unconscious. His pulse rate and blood pressure were slightly raised. He was ventilated with the face mask for 35 minutes after which he regained spontaneous respiration and consciousness. He could only recollect us calling out to him, pinching him and placing the mask on his face. We ruled out local anesthetic/ vasoconstrictor toxicity , nasopulmonary apnoeic reflex and inadvertent muscle relaxant administration after considering the clinical presentation and doses of drugs used. The possibility was that of the occurrence of ‘brain stem anaesthesia’ which is a rare complication following retrobulbar blocks. Drugs have been shown to travel to the brainstem from the nose along the olfactory and trigeminal nerve pathways by an extracellular route . Blockade of the vagus and glossopharyngeal nerves leads to the clinical manifestations of brainstem anaesthesia. Aphasia, apnoea, drowsiness, bradycardia, tachycardia, hypertension,loss of consciousness, seizures are some of the manifestations of brainstem anaesthesia. Our experience gives a serious warning to all concerned physicians and surgeons that procedures like intranasal packing should not be taken lightly. Utmost patient vigilance should be exercised during and after the packing. Johnson NJ, Hanson LR, Frey WH. Trigeminal pathways deliver a low molecular weight drug from the nose to the brain and orofacial structures. Mol Pharm 2010;7:884-93. The author is MD (Anaesthesiology )and is Professor Karnataka Institute of Medical Sciences, Hubli, Karnataka. 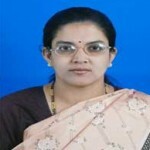 She is a member Editorial Board, Anesthesiology at Specialty Medical Dialogues. It is very rare complication but I would like to know why the patient was ventilated for 35 minutes using face mask in a operation theater where facilities for other modes are available ? ?